Delicious Chocolate Pie that my non-raw and non-vegan friends love. Super Easy and Delicious!!!!! Place into a pie plate and press firmly. Place in the freezer while you prepare the filling. Place all ingredients in your Vitamix Blender and blend until smooth and creamy. Pour into pie crust and place in freezer until set. Remove from freezer 30 minutes before serving...Enjoy!!!! 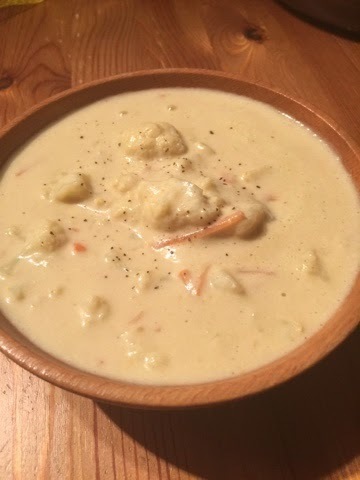 I just made the most delicous creamy cheesy cauliflower soup. In fact it is so delicious it inspired me to blog the recipe. Place cauliflower, carrots and vegetable broth in saucepan and boil for 15-20 minutes. While that is going on add the rest for the ingredients to your Vitamix and blend on high for approximately 5 minutes. 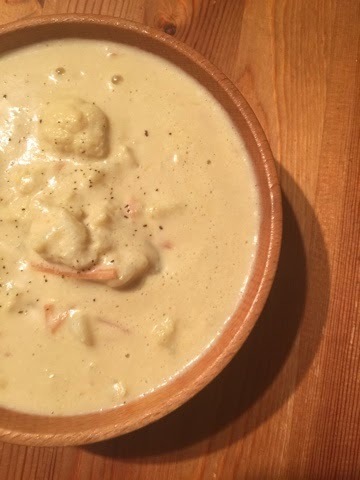 Once the cauliflower has boiled enough to soften stir in the cashew cream mixture and mix well. Simmer for about 30 minutes. Enjoy and always Make It With Love. I don't make this often but when I do I throughly enjoy it. It can be served warm by placing it in the dehydration for 1 hour at 145 degrees. It tastes just a delicous without going in the dehydrator. Place in Vitamix and blend til desired consistency. I like mine pretty smooth. Place all ingredients in Vitamix and blend til smooth. Using a coffee grinder or blender. (I use my nutribullet) Blend all ingredients until resembles Parmesan cheese. Now for the layers...using a casserole dish layer the bottom of the dish with he zucchini noodles covering the bottom of the dish overlapping the noodles. Place tomato sauce over the noodles. Then the cashew cheese. The cashew cheese doesn't have to cover the tomato sauce completely. It will spread out. Then dollop the pesto on top of the cashew cheese then start layering again in the same order. 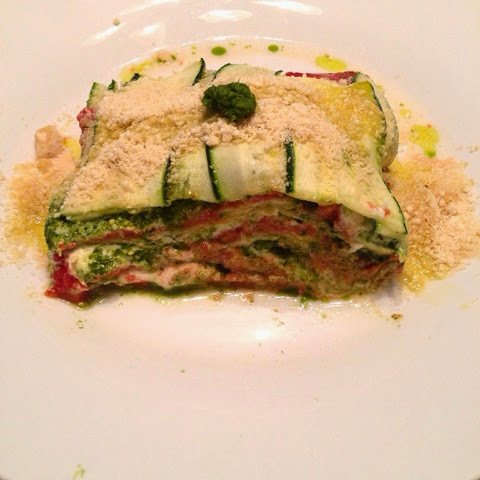 I usually get about three layers ending with the zucchini noodles. Then top with the cashew parmesan.